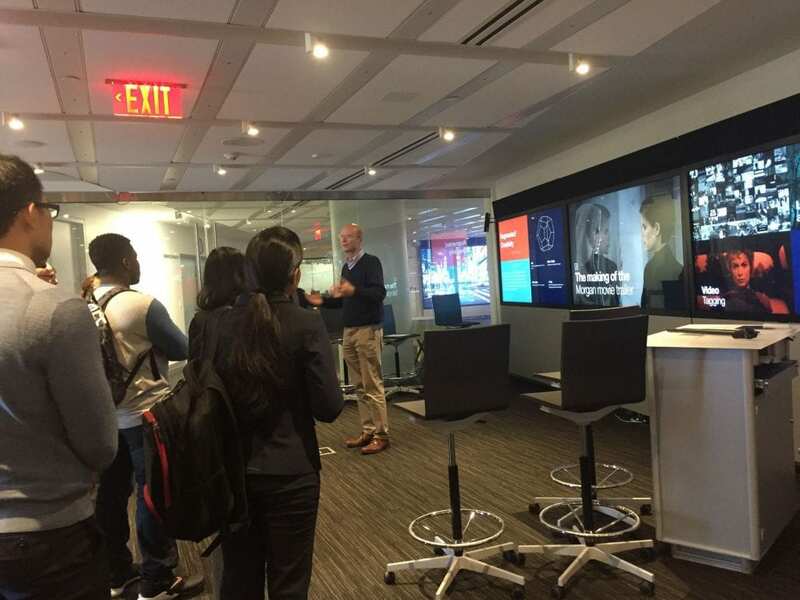 On October 24th, students from Pace University’s Seidenberg School of Computer Science and Information Systems visited the IBM TJ Watson Research Center for an eye-opening field trip into the world of research and tech. The audience in attendance included faculty, undergraduate and graduate students. 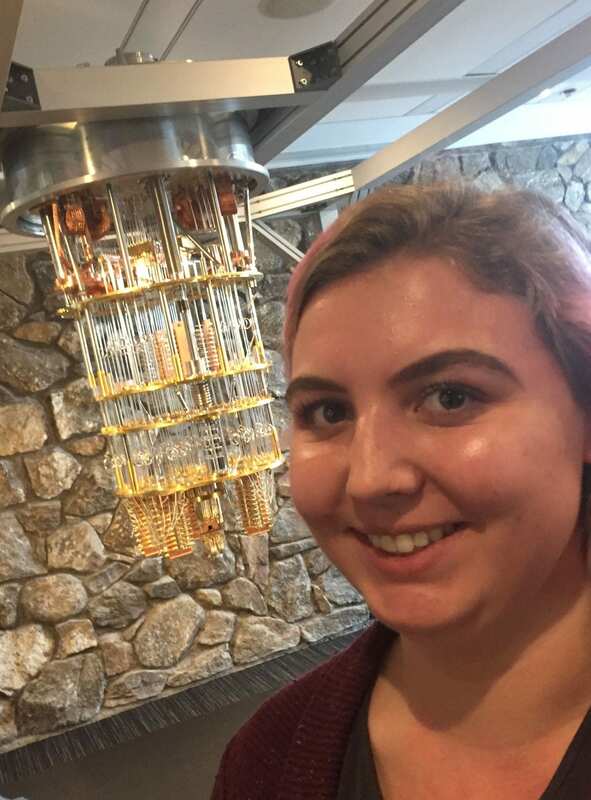 One of these students attending was Charlotte Coffin, a senior majoring in computer science, who is currently working on her honors thesis titled, “An Introduction to Quantum Computing using the Number Guessing Game on QISKit.” QISKit is IBM’s open source platform for quantum computing, so the trip was particularly useful for Charlotte! 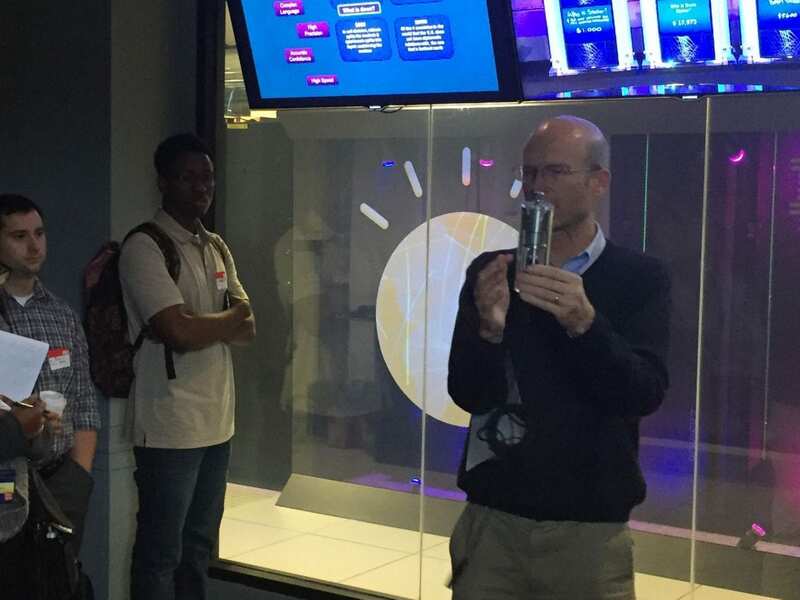 During the trip, students learned about the types of research taking place at IBM and identified potential research collaboration opportunities. 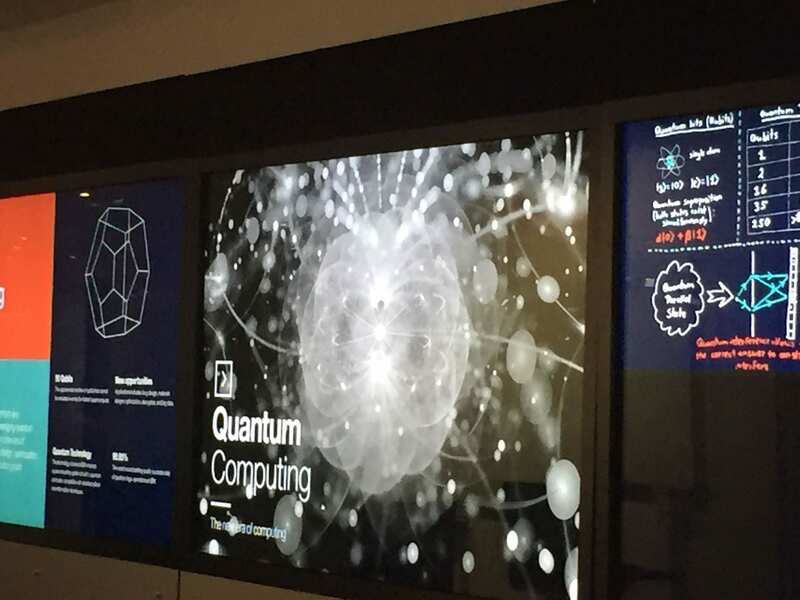 IBM’s researchers discussed technological topics including quantum computing, blockchain, IoT wearables, artificial intelligence, and big data analytics. Students spent the day in Thinklabs, research rooms, and with IBM professionals who introduced them to the real-world version of what they are studying at Pace University. For many students, getting an inside look at a company like IBM was a glimpse at the future. 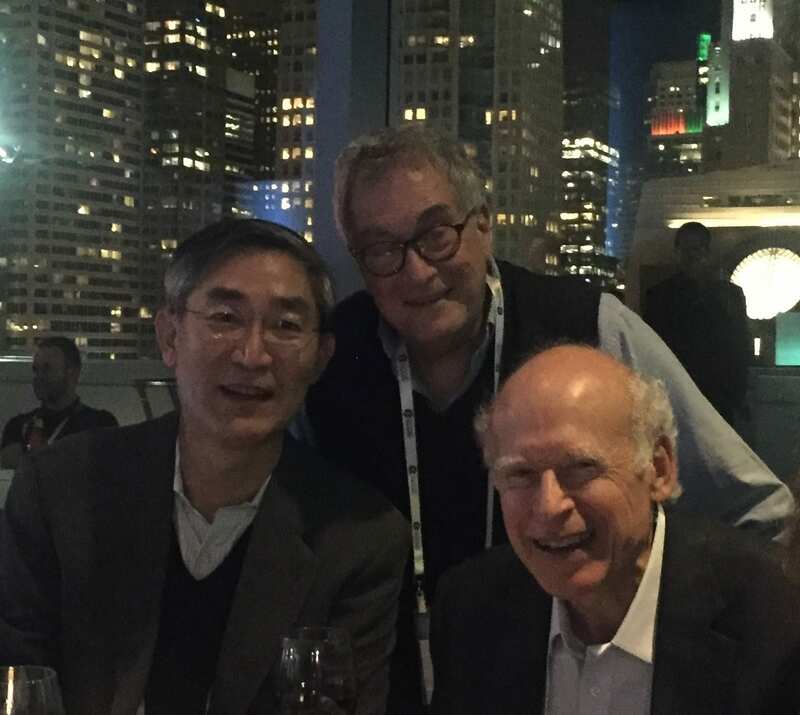 Tianyu, along with the rest of the group in attendance, also had the chance to see an innovative project in the works by IBM: artificial intelligence generating movie trailers. Andreea Cotoranu, Assistant Dean of Academic Innovation at Pace University, highlighted how grateful she and her students were for the field trip opportunity. “The Seidenberg School is grateful for its dedicated adjunct faculty, especially Professor Stephan Barabasi, as well as for the passionate and generous team at the IBM Research Center for continuing to facilitate collaboration and discussion on key research topics and promote continued learning within the Seidenberg faculty and student body,” she said. The IBM trip was another fantastic learning experience provided by the Seidenberg School of Computer Science and Information Systems. Keep your eyes peeled for future events with major technology companies! No phone’s secret is safe from the forensic skills of Seidenberg’s James Ossipov and Dr. Darren Hayes. 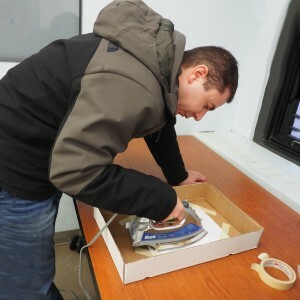 At first glance, it appears that James is ironing a piece of paper, but what is under the paper is what is helping law enforcement retrieve photos, texts, and various information from most phones—even if it’s deleted. 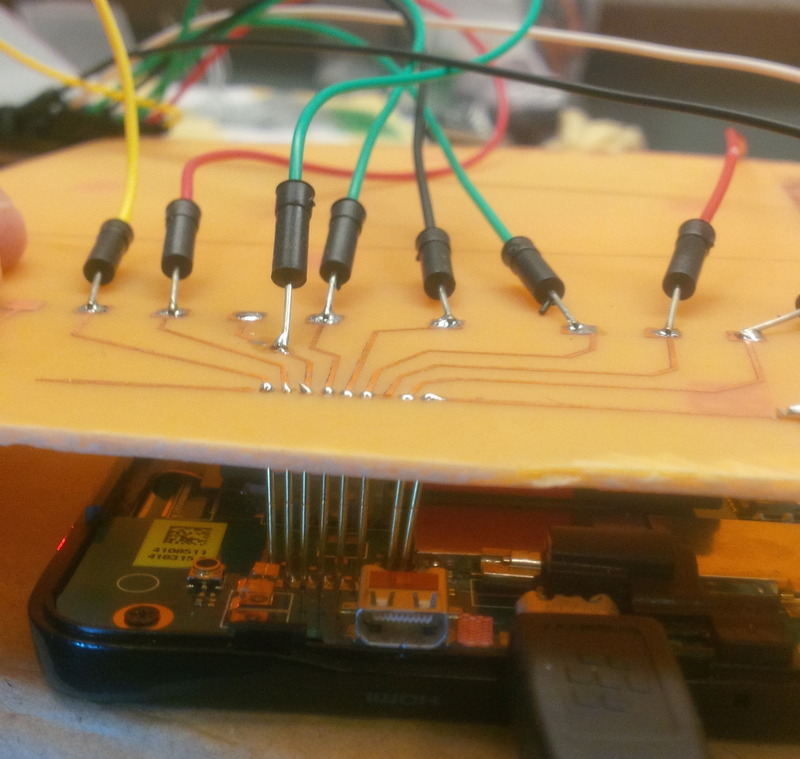 Dr. Darren Hayes, professor at Seidenberg, and James Ossipov have been working together with a method of evidence extraction called JTAG, which in time could revolutionize the way law enforcement agencies use computer forensics. JTAG sounds like an amazing innovation to restore information from a phone, even if it is damaged. However, this method is not for everyday use yet — it is primarily used in investigations to retrieve evidence. 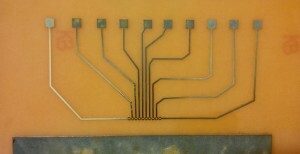 A circuit board after solution, before it is cleaned with acetone. Unfortunately for law enforcement, this method of extracting data cannot be used on an iPhone. Computer forensics is advancing every day and Seidenberg is proud to be at the forefront of it all. If you are interested in learning about computer forensic, Dr. Darren Hayes is currently teaching a Cyber Law Class (CIT 363). If you’re not registered for that class, don’t worry—in the fall he is offering a Mobile Forensics course where he will teach how to extract evidence from mobile devices and obtain evidence from third-parties such as Facebook. Also worth mentioning is that James also worked on JTAG last semester with two other veterans (David Cano – Navy & Gordon Wildrick III – Marines), and he himself is a veteran of the Army. We’re proud to support our forces and we’re more proud of the work they’ve accomplished with Seidenberg. The Seidenberg School of Computer Science and Information Systems offers terrific undergraduate and graduate degrees. However, did you know that they also have a unique online program for adults who are looking to start or complete a degree in Telecommunications? The NACTEL (National Coalition for Telecommunications Education and Learning) Program at Pace University has been providing Associate and Bachelor’s degrees in telecommunications since 1999. NACTEL students are primarily adults who work full-time and are located all over the United States and the world. Students work in a variety of fields within the telecommunication industry and some are also part of the military. 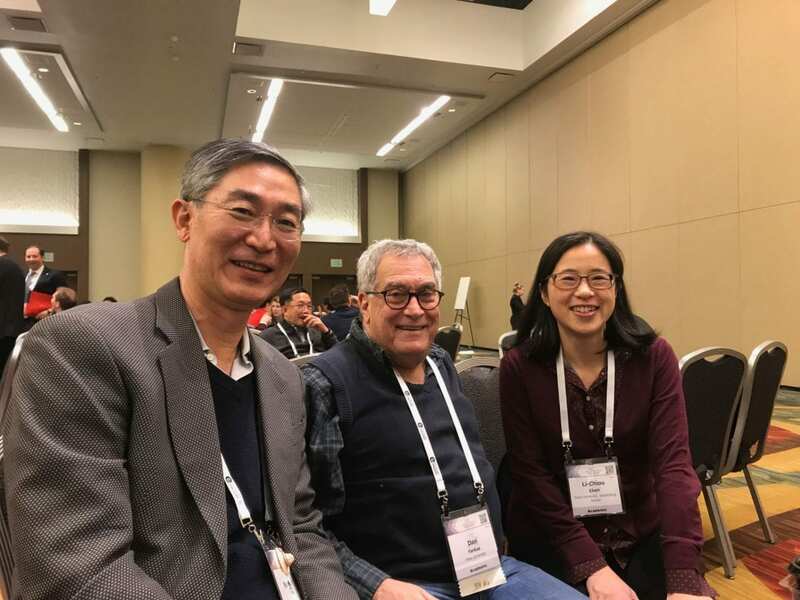 Last month, NACTEL students received the Institutional Service Award from CAEL (Council for Adult and Experiential Learning). The Institutional Service Award typically honors a college or a university for providing exemplary service to adults. NACTEL was given the award because they are an industry-education organization that has provided exemplary service to adults and has made significant contributions to the field of adult learning and workforce education for the past 15 years. 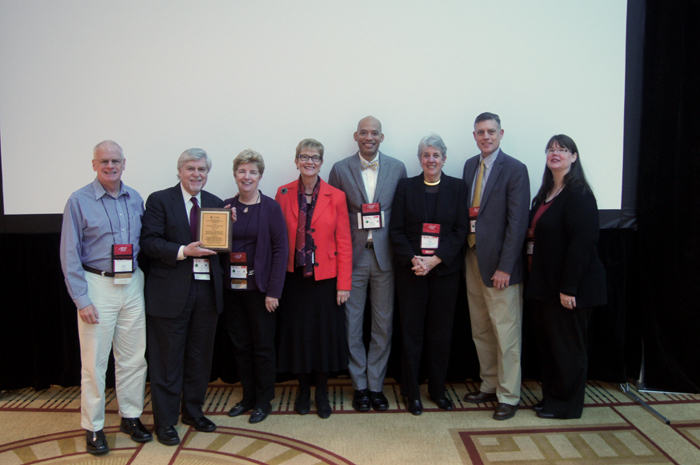 Pictured below is Pace University’s Ward Carpenter, Director of NACTEL, and Nancy Hale, Special Program Chair, accepting the award in Chicago, IL on November 12, 2014 at CAEL’s Annual International Conference. (Left to right: Ward, Jim Spellane (IBEW), Nancy Hale, Pamela Tate (President and CEO of CAEL), Jeffery Batiste (Verizon), Susan Kannel (CAEL NACTEL Program Director), Rich Hake (Century Link) and Marianne Groth (Verizon). In 2014 NACTEL was selected by G.I. Jobs magazine as a Military-Friendly School. In 2013, U.S. News and World Report named NACTEL at Pace University #1 as the Best Online Bachelor’s Programs. In 2013, U.S. News and World Report named NACTEL at Pace University as the top Online Bachelors program in the country AND the best Online Program for Veterans. Since 2008, Seidenberg — through the dedicated work of Dr. Christelle Scharff — has been involved in research in mobile for development and in capacity-building in mobile technology in Senegal, Africa. While most of the ground-breaking mobile initiatives at that time emerged in English-speaking countries in Africa, Dr. Scharff decided to work in French-speaking countries, leveraging her first language, and became a pioneer of mobile technology in Senegal. In 2012 her efforts were rewarded by a prestigious Fulbright scholarship. In order to receive a scholarship from Fulbright, one must prepare for a grueling application process with many stages. Dr. Scharff waited patiently during the process that would and did finally grant her the scholarship to get the ball rolling on her project and research in Senegal. The award letter was followed by letters from Crongresswoman Carolyn B. Maloney and Senator Charles E. Schumer. Dr. Scharff founded the MobileSenegal project (MobileSenegal.org) for capacity building in mobile technology in Africa in 2008. It was first geared towards university students, but evolved into a mobile revolution for middle and high school students, developers and professionals of the IT industry. MobileSenegal, since its beginning, has become a program that organizes boot camps, courses, competitions, training for faculty and dedicated field projects. Africa is booming in mobile investments, attracting the attention of larger corporations, including Google, Microsoft, and IBM. Of these, Google and IBM both sponsored MobileSenegal, as did Blackberry. NGOs have also caught on to the importance of mobile technology, even the most basic phones, in education and health for countries that may not have the same kind of access to technology that many of us take for granted. Students from Pace and Senegal worked on the development of a mobile application for reading, math, and geography for first grade students in Senegal. The application was piloted in a primary school. The experience generated enthusiasm amongst pupils and teachers and was a great learning experience in software engineering and social development for Pace and Senegalese students. Dr. Scharff also founded the SenMobile startup to provide innovative mobile solutions in education, health, and financial awareness. She has more than 10 mobile apps published on Google Play, Nokia Store and BlackBerry App World. One of the Nokia apps gathered more than 17,000 downloads. Dr. Scharff will continue to promote her ideas around the world to spread the initiative and her research. She has presented the project at diverse conferences including the mEducation Alliance Symposium in Washington D.C, the Mobile Learning Week at UNESCO in Paris, and this past month, she shared her work at the conference on Social Entrepreneurship at Harvard. The Fulbright U.S. Student competition for 2015-2016 opened on May 1st and Dr. Scharff would be thrilled to talk with Pace students who are considering embarking in this life changing experience. It’s important for users to change their passwords on sites that have been approved. 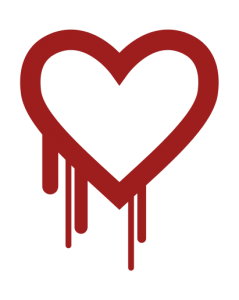 There are lists, such as this one on CNET, that state which sites are safe and which could still be vulnerable. Take the weekend to sort through your accounts to make sure your information is secure.